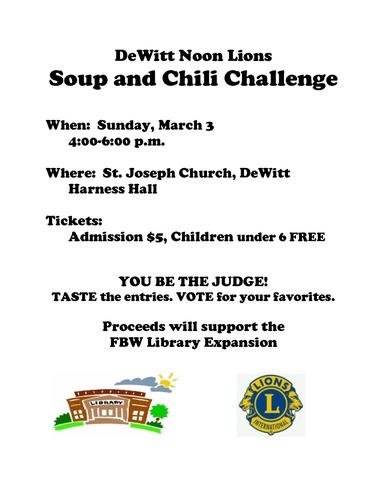 DeWitt Noon Lions Soup and Chili Challenge! Sunday, March 3 from 4-6 PM. You be the judge! Taste the entries! Vote for your favorites! Proceeds go to FBW Library Expansion.